Confession: I hate okra. 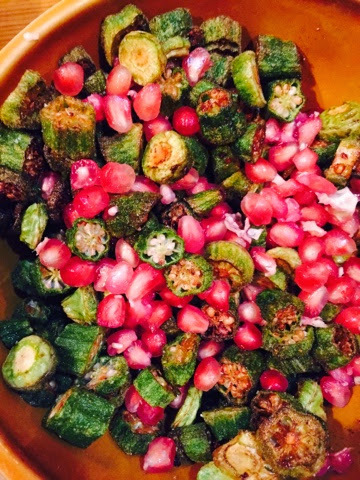 Well, I guess I should say I hated okra until last night when I discovered this delicious super easy recipe that totally eliminates that sticky slimy okra thing. Its kind of Indian with the garam masala, but its just totally delicious, or...addictive. Heat about an inch of oil in a skillet to 350 on a deep-fry thermometer or until an okra slice sizzles madly when slipped into the oil. fry okra in batches (not more than one layer in the oil) until light brown and crisp. sprinkle with coarse salt, garam masala, and cayenne to taste.